Phoenix Law Enforcement Association > PLEA News > PLEA Wins in Fact-Finding! For the second contract in a row, PLEA has won in fact-finding. The fact-finder agreed with our stance and recommended the City pass a 3 year MOU with an increase of 5.2%, which would restore all concessions over that time period, plus provide for a small raise. This is the FIRST time in history any City employee group has won two contracts in a row in the fact-finding process and shows how hard your elected PLEA team works on behalf of the membership. On Wednesday, April 20, 2016, the City Council will hold an executive session to discuss the fact-finding reports and hopefully give direction to the City Manager to negotiate a reasonable contract with us. If not, the public hearing will be on May 3, 2016 and the final Council vote will be on May 17, 2016 for the new MOU. We need EVERYONE there to pack the Council chambers. We know some of you are thinking that it didn’t make a difference last time, so why bother. The facts and circumstances this time are completely different. When we went to fact-finding in 2014, the fact-finder stated the City should raise taxes to pay for our proposal. This time the fact-finder stated the City has the money through existing resources and projected revenue growth over the next three years. This time all 5 unions went to fact-finding and ALL five arguably WON in fact-finding. So this time, you have PLEA and Fire sticking together along with the other employee groups. The last time, while the other groups settled, except for us, this time all groups are united and none of us have have settled. This time, it will be hard for the Council to ignore all the fact-finding reports. We will keep you posted but please circle the dates of May 3rd and May 17th. As we have asked regarding City Budget Hearings, we need officers, families, friends, neighbors to show at the City Council Chambers! 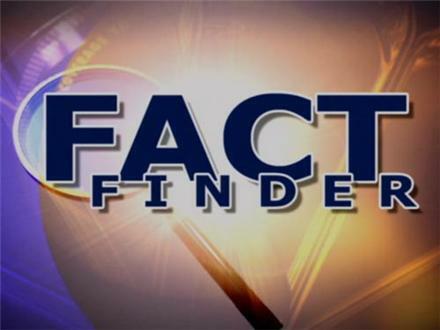 CLICK HERE to read the fact-finder’s report.